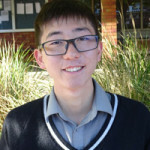 Read what our Chinese students have to say about their time here at Palmerston North Boys’ High School. 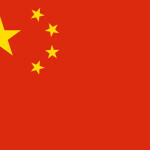 In China, students have to learn by themselves. At Boys’ High, you are allowed to ask questions and ask for help. PNBHS has more subject variety – Graphics, Visual Art, Horticulture, Media Studies, PE Studies. There are more opportunities to study and go to university here. It’s a healthier lifestyle with fresh air, no pollution and more opportunities to do sport. PNBHS has good facilities for learning and sports. PNBHS teaches you more skills for life. Hear about students’ experience here in New Zealand. Listen to what our Indian students have to say about their time at Palmerston North Boys’ High School. Listen to what our visitors from Delhi Public School had to say about their experience at Palmerston North Boys’ High School. Listen to what our Japanese students have to say about their time at Palmerston North Boys’ High School. Hear about Yohei’s experience here at Palmerston North Boys’ High School. When I came to New Zealand school for the first time, I realised how New Zealand has so much free space. PNBHS field is twice or more the size of Japanese schools’ field and it has a lot of green grass. I was surprised about the subjects too. PNBHS has a lot of different subjects to choose from, for example Maori, Business Studies, Economics etc. PNBHS has subjects that we cannot take in Japan so I think that it is good for any Japanese student to come to a NZ school for a new experience. I’m doing basketball and table tennis at PNBHS. 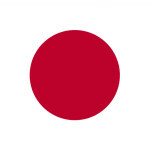 In Japanese school we can join in only one club activity but in PNBHS we can join in many club activities. There is the level for just for fun or serious competitors in each sport club activity so we can just try that sport if we want to. There is many activities and many people so we can easily make many friends. Listen to what our German student had to say about his time here at Palmerston North Boys’ High School. 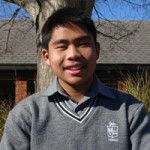 Hear about Nel’s experience here at Palmerston North Boys’ High School. Hören Sie über Nel Die Erfahrung hier bei Palmerston North Boys High School. I came to New Zealand because I wanted to improve my English, to see the beautiful landscape, meet new people, learn about their culture and to do sport. I’m having a great time at PNBHS, the school I chose, and everybody is nice here and it is easy to find new friends. My homestay family is very nice and supports me in everything I want to do. I also did things like bungy jumping and skydiving which was amazing. Ich bin nach Neuseeland gekommen um mein Englisch zu verbessern, die schöne Landschaft zu sehen, neue Leute kennenzulernen, etwas über die Kultur zu erfahren und Sport zu machen. Ich habe eine tolle Zeit an der PNBHS, die Schule die ich gewählt habe, alle Leute sind echt nett hier und es ist einfach neue Freunde zu finden. Meine Gastfamilie ist sehr nett und unterstützt mich bei allem. Ich habe auch Sachen wie Bunny jumping und Skidiven gemacht was mega cool war. 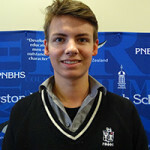 At PNBHS, I am learning English, making new friends and getting a New Zealand experience. I have been on many trips with my homestay, sporting trips between schools, trips and activities with the international department and also with friends. In the 2 terms I have been in New Zealand, I have been to Napier, New Plymouth and Wellington with my homestay family; Hamilton for a tournament with the PNBHS 1st XI Hockey team; tramping, mountain biking and river rafting in Turangi; bungy jumping and flying fox at Gravity Canyon; paintball; and rock climbing for Outdoor Education. Soon I will be going to Invercargill for a tournament with Hockey Manawatu U18 Representative Team and skiing with friends at Mt. Ruapehu. I recommend PNBHS and New Zealand to anyone looking to study abroad. Bei PNBHS lerne ich Englisch, mache neue Freunde und mache viele Neuseelaendische Erfahrungen. Ich war mit meiner Gastfamilie auf vielen kleinen Ausfluegen, war bei ein paar Sportreisen zu Schulen in anderen Staedten mit dabei, nahm Teil an vielen Ausflügen und Aktivitäten mit der internationalen Ab-teilung und auch mit Freunden. In dem halben Jahr, das ich in Neuseeland verbracht habe, bin ich mit meiner Gastfamilie nach Napier, New Plymouth und Wellington gefahren, war in Hamilton für ein Turnier mit dem ersten PNBHS Hockeyteam. War Wan-dern, Mountainbiken und Rafting in Turangi mit meiner Outdoor Education Klasse. Ich war ausserdem Bungy Jumping im Gravity Canyon, spielte Paintball und war Klettern mit den internationalen Studenten. Bald werde ich mit dem Hockey Manawatu U18 Team zu einem Turnier in Invercargill fahren und werde Skifahren mit Freunden auf dem Berg Mt. Ruapehu. Ich empfehle PNBHS und Neuseeland Allen, die vor haben im Ausland zu studieren. Listen to what our South Korean student had to say about his time here at Palmerston North Boys’ High School. 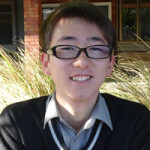 I really like to study at Boys’ High because I feel free. You have to learn to be disciplined and study and do things by yourself, where my parents would do this for me in Korea. You learn to be independent. If I have a problem, I get lots of help and support from the International staff and our teachers. I have made many Kiwi friends, they are really friendly people. On the weekends, we go biking around the river and watch movies in the Square. In town, there are Korean food shops and you can buy Korean groceries. Read what our students from Hong Kong have to say about their time here at Palmerston North Boys’ High School. My name is Frank Wang. 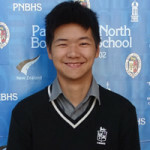 I am 17 years old, from Hong Kong and am a current student at Palmerston North Boys’ High School in Year 13. I have been at Palmerston North Boys’ High School since July 2014. The subjects I am studying are Geography, History, Physics, Maths and English (ESOL). 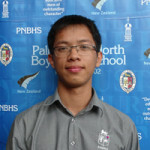 My plan is to graduate from PNBHS and study Aviation at Massey University in Palmerston North. I came to study in Palmerston North, New Zealand to learn English, go to Massey University to study Aviation, it is cheaper to study here and it is a safe country. In New Zealand, the teachers stay in one classroom and the students go to different classrooms for different subjects. Also, in New Zealand you can choose 5 or 6 subjects for senior school, where you have to study 4 subjects and choose 2 or more in Hong Kong. 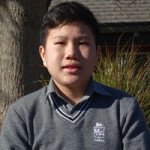 My English has improved quite a lot from studying in New Zealand, as all classes here are taught in English and I speak English to my friends, my teachers and my homestay. At first, it is hard to be away from your friends and family, but you soon get used to it and you make some new friends here in New Zealand. Palmerston North Boys’ High School has a lot of facilities for learning and for sport. 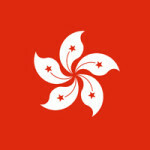 PNBHS has smaller classes than in Hong Kong. We go on a lot of trips to see more of New Zealand, such as Wellington, Napier and Masterton. Palmerston North is easy to go everywhere you want. You can walk from school into the city. Some students ride their bike to and from school. 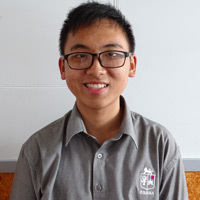 I would recommend for you to come to Palmerston North, because if you go to Auckland you will mostly speak Chinese as there are a lot of Chinese people there. Palmerston North is a quiet city, which is good for studying and sleeping. The people here are friendly. Palmerston North is very clean and has fresh air. 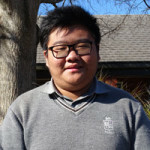 Read what our Thai students have to say about their time here at Palmerston North Boys’ High School. I walk to and from school. The teachers cover all of the work we need to during the day and the students are very welcoming and friendly. When I came to Boys’ High, I did 1.5 terms of ELT and then moved to regular English classes. My homestay takes me away on trips to places, which gives me more life experiences. My goal is to finish at Boys’ High and then go to Massey Aviation to be a pilot. In Thailand, we don’t discuss as a class, we just copy what the teacher writes. At Boys’ High, we discuss and work out the answer together, which helps me to learn. Class size is only 20 at Boys’ High, where Thailand local schools have 50 students. Palmerston North is safe and peaceful, with no crime here. The cars stop for you to cross the road. The speed limit is slower, so there are less car accidents. Palmerston North, or as we call shortly Palmy, is a town that is very peaceful and not chaotic. At first I felt unfamiliar with the quite silent town and that it is not very busy, but when i started to feel familiar in this city, it made me really like to study here because of the fresh air and the peacefulness of society. This makes me think that Palmy is very suitable for studying at high school. 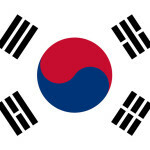 I think that the study in PNBHS have given me a lot of experience, whether it be English, sports and especially knowledge. The teaching at PNBHS is based on NCEA which teaches us the knowledge and we learn how to apply it in different situations in the exams. This makes me think that the PNBHS students will have outstanding qualities of being able to think outside the box and have creative ideas. The environment of study is that students walk to the class that they have chosen as their subject – which is like the university. This makes the students learn to have to manage time by themselves. In the classroom there is 1 teacher and an average of 25 students in each room which is very good for students to have a chance to ask many questions and get help from the teacher. My favorite sports at PNBHS is football. 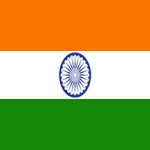 I play football in a team, which has made me make a lot of new friends from other nationalities. This makes me really enjoy playing sports here. The things i like most about studying at PNBHS are playing my favorite sports with my friends, choosing the subjects that i love and especially students can accelerate with the subjects that they are outstanding in. This is very useful for me and other students in the future. Read what our Vietnamese students have to say about their time here at Palmerston North Boys’ High School. 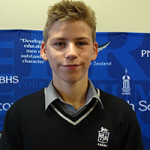 I’m very proud to be a student at Palmerston North Boys’ High School. 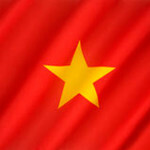 In Vietnam, students have to take part in all the subjects. However, it’s totally different in New Zealand, we can choose the subjects that will be useful in our future, such as Economics, Accounting or Arts. There are many teachers with high professional skills and I’ve made lots of friends who are self-motivated and very friendly. In conclusion, studying here ensures me a promising outcome for my future career. 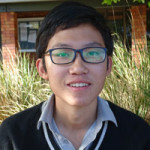 Được làm học sinh của Palmerston North Boys High School là điều khiến em rất tự hào. Khi còn ở Việt Nam, chương trình học quá ôm đồn số lượng các môn học không phù hợp với học sinh, thì khi ở New Zealand, học sinh được tự do chọn những môn học mà mình yêu thích, không chỉ có những môn học cơ bản, mà còn có những môn học chuyên sâu trong các lĩnh vực khác nhau như Kinh Tế học, Kế toán hay các môn nghệ thuật. Giáo viên ở đây có trình độ chuyên môn cao, và em đã làm quen được rất nhiều bạn bản địa mới. Theo em, việc học tập ở đây sẽ giúp em có sự chuẩn bi tốt hơn cho tương lai của mình. My experience here in Palmerston North has been outstanding. Studying is fun, the environment is open and you get to do all kinds of co-circular activities. The people here are so friendly and supportive, which make me feel welcomed and safe while being far away from home. Not only that, Palmerston North is also a beautiful city, along with great services that help me a lots while being here. For me, it is a great pleasure to study here in Palmerston North. Em đã có những trải nghiệm tuyệt vời ở thành phố này. Việc học tập ở đây rất thoải mái và học sinh được tham gia rất nhiều các hoạt động ngoại khoá khác nhau trong một môi trường thân thiện, cởi mở. Không những thế, Palmerston North còn là một thành phố rất đẹp và tiện nghi, người dân ở đây đều rất thân thiện và nhiệt tình giúp đỡ em khi khó khăn, điều này khiến cho em cảm thấy như đang được ở nhà. Đối với em, được đến học ở đây là một điều may mắn. Click on the video above to view a digital display on Palmerston North City & Manawatu. Subscribe to our PNBHS INTERNATIONAL Youtube Channel – YouTube Channel.